We love the Who. John Entwistle was one of our favorite bass players, ever. 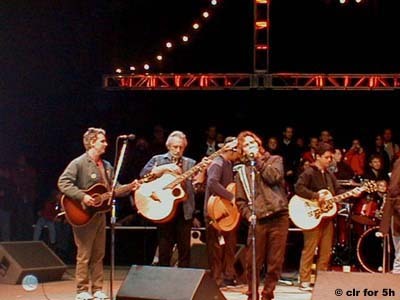 We loved the fact that Pearl Jam and the Who had a special connection; Bridge 99 was an amazing experience for that reason. We will miss you, John, and our thoughts go out to any and all who loved him and his music. We had server issues yesterday - could not ftp to update! - so we're a day late with the news about Mike and the Wallflowers. Also, a news story regarding the second Roskilde inquiry. Thanks to all who wrote us with these links. Also, an update on the Ten Club site advising members to get memberships and mailing addresses current. See the Ten Club News section for details.